Visit our stand at InfraTech 2019! Over the next four days we will be an exhibitor at the InfraTech 2019 trade fair. Our stand (no. 1422) is ready, our colleagues are on stand-by and our barista makes the best cup of coffee! Why not come and visit us? 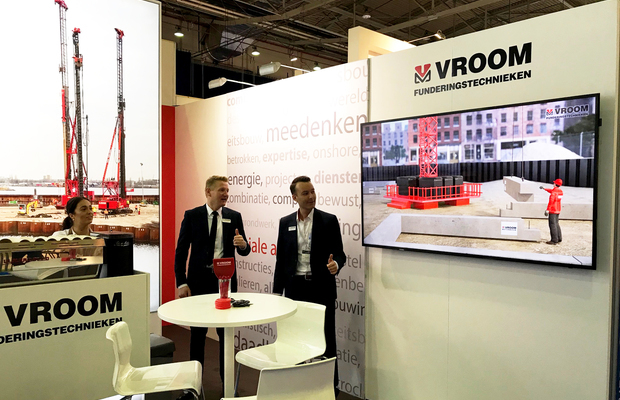 This fair, at Ahoy Rotterdam, being organised for the twelfth time, is the one and only knowledge platform at which clients, contractors, engineering firms and suppliers can show why the Dutch infrastructure sector has been among the world's best for years. March 20, 2019 We work safely or we don't work at all!